Need a price? Request a quote online today! The door features a clean, streamlined design and maximal glass size for incredible views of your outside space. 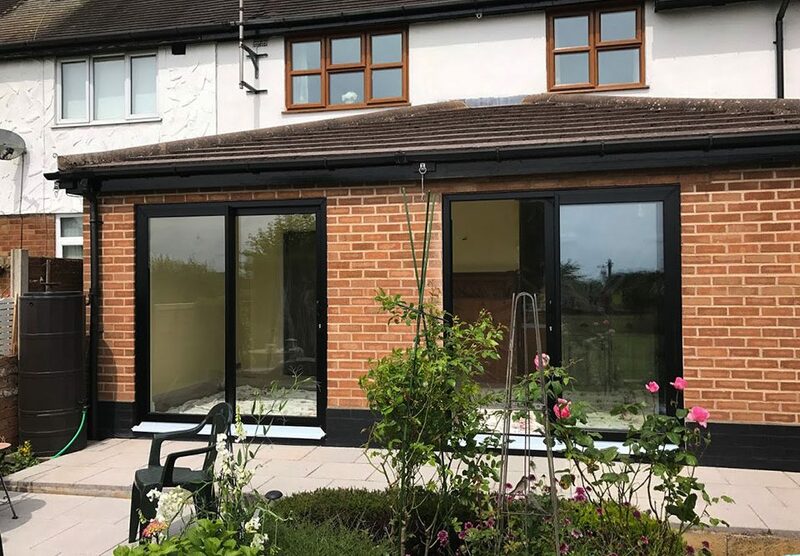 The Visoglide Plus combines contemporary style, robust engineering and superior thermal performance to deliver a sliding patio door that ticks all the boxes. A classic, contemporary design that is equally at home in a residential or commercial setting. 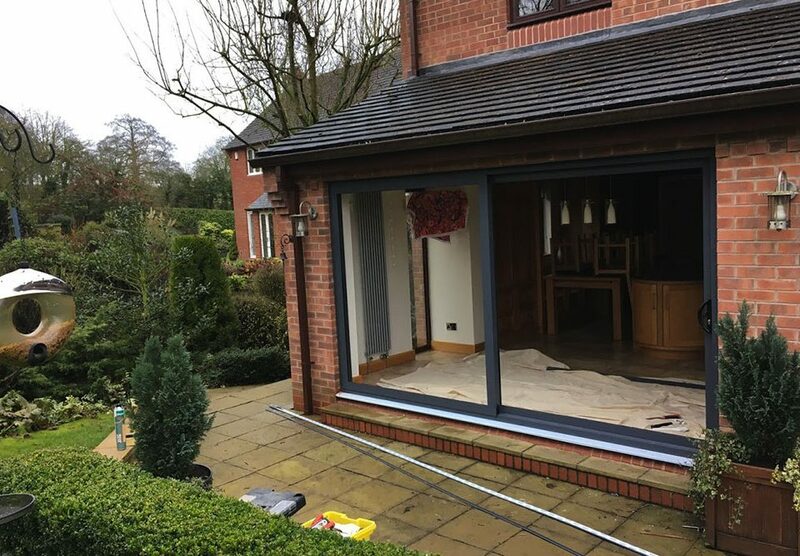 The door maximises daylight in your living space and offers stunning, uninterrupted views to the outside. 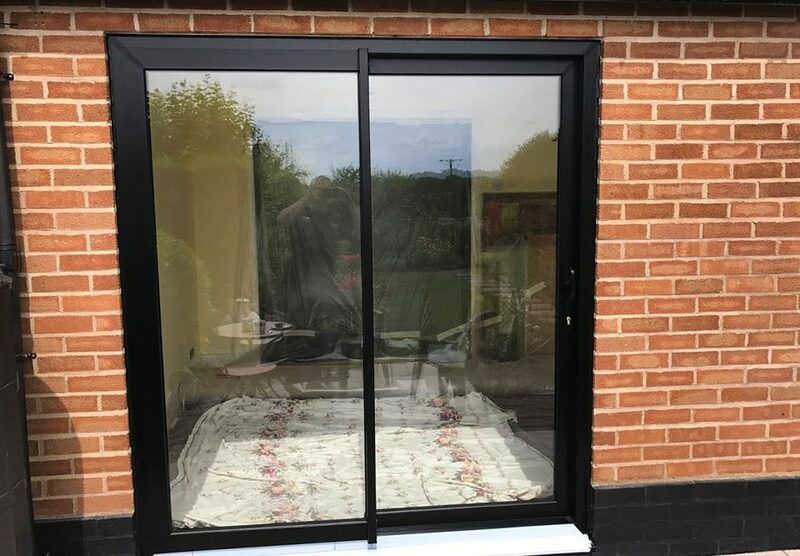 Its large opening is ideal for connecting your indoor and outdoor living areas, or for easy movement of goods. 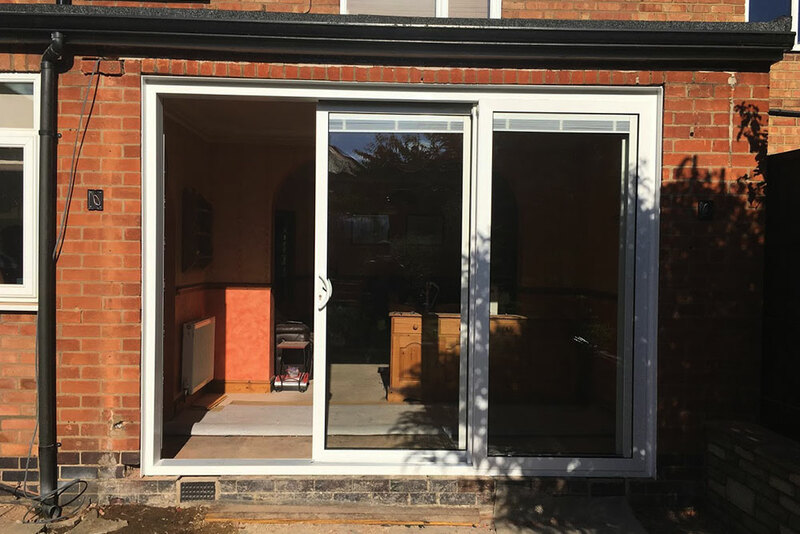 For your peace of mind, the door is security tested and conforms to the PAS 24 standard. 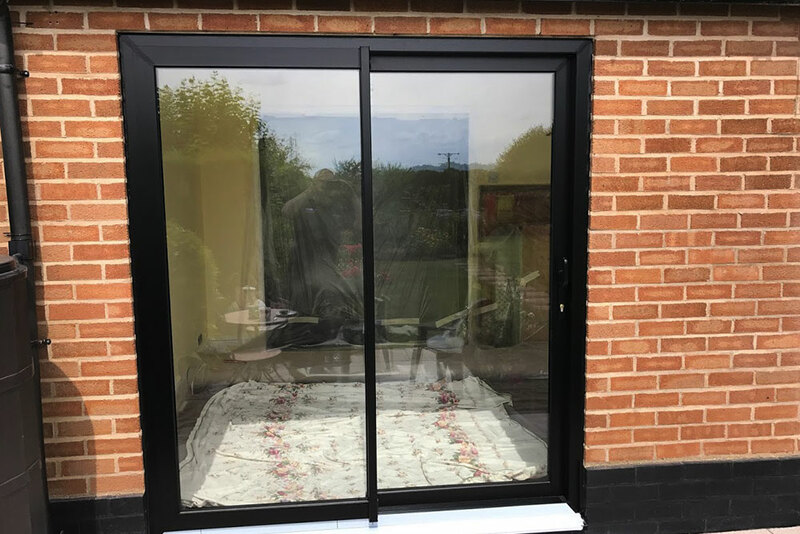 The Visoglide Plus is one of the most secure sliding patio doors you will find on the market today. 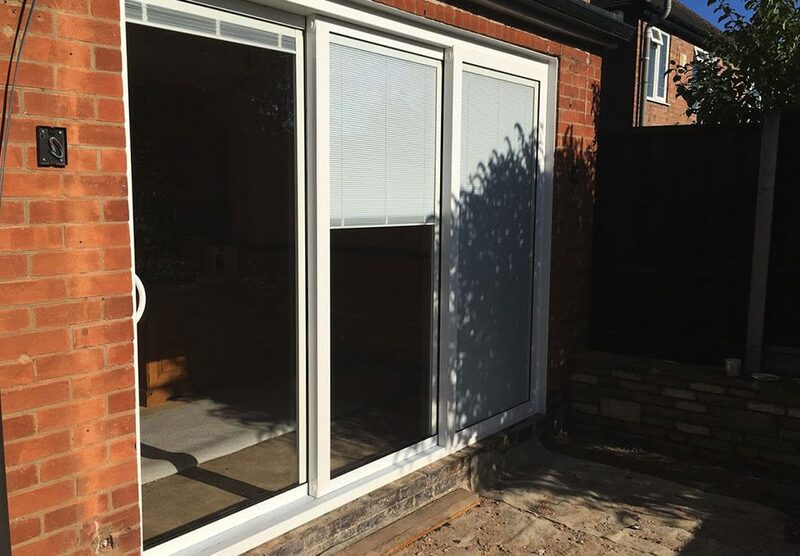 It incorporates the very latest multi-point locking system, to keep your property safe and secure. 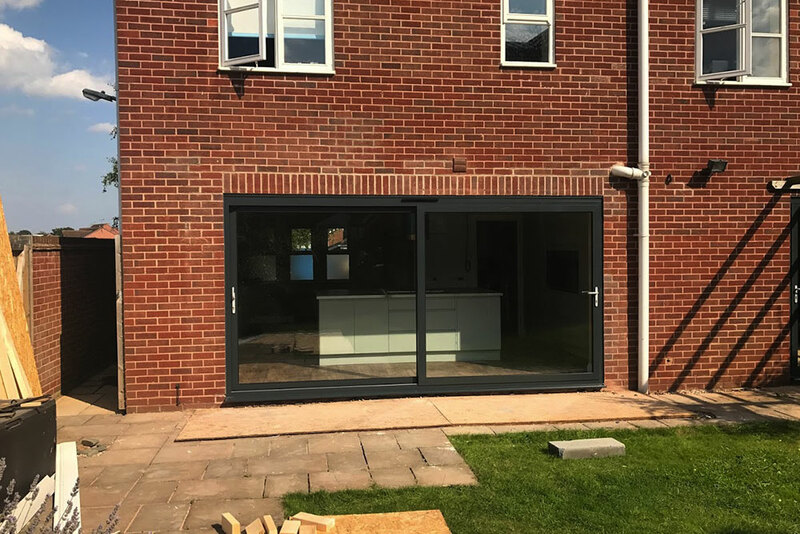 Our sliding doors have a number of high quality features that make them some of the best you can buy. You will never have to worry about your doors becoming stiff and difficult to open. 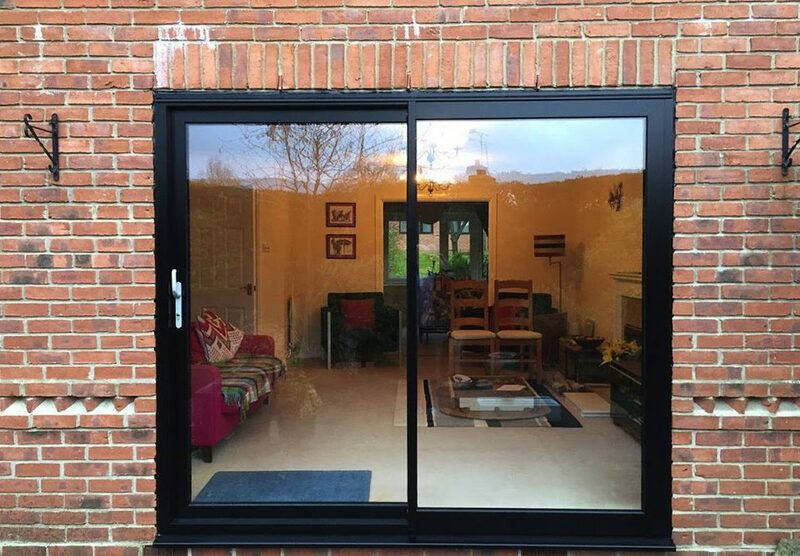 Improvements to the runner mechanism mean your doors will open and close freely and easily for many years to come. The doors offer superior thermal performance and are warm to the touch, even when it’s cold outside. 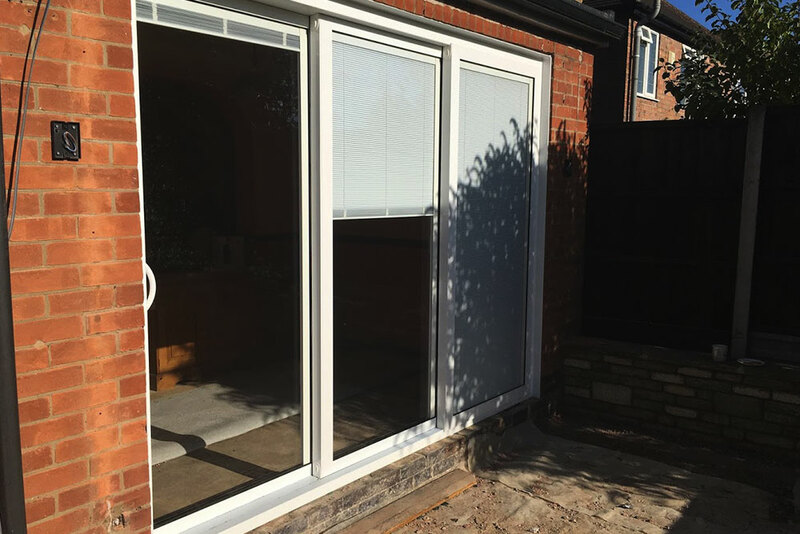 They are designed to keep the heat in and the cold out, so you can save money on those ever increasing energy bills. 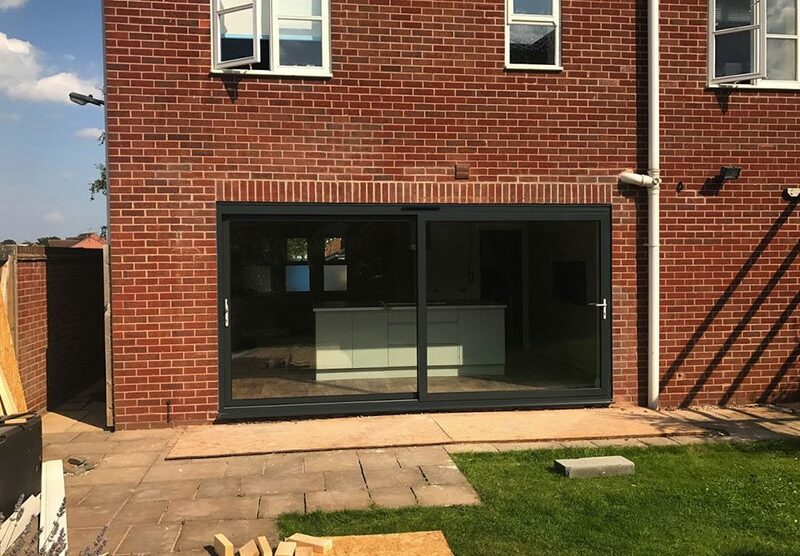 An aluminium sliding door isn’t just a purchase, it’s an investment. Our sliding doors carry a 10-year guarantee, but could last much longer. 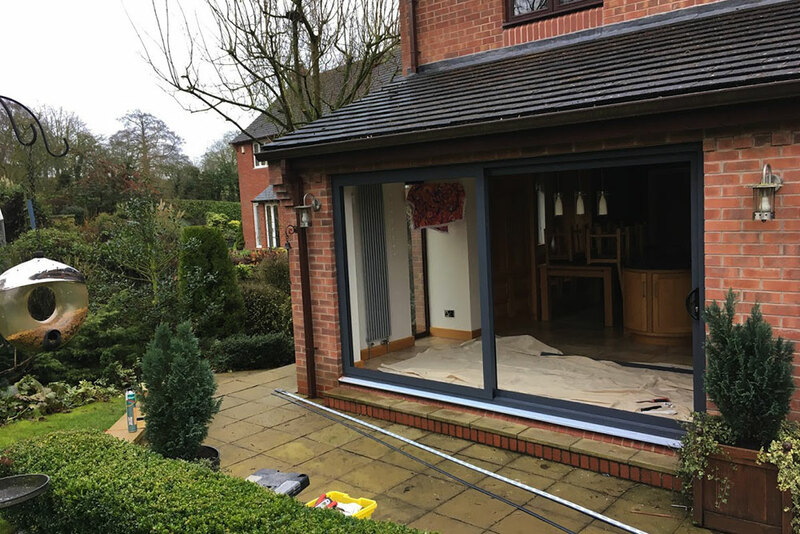 Some of the aluminium doors we’ve replaced have been up to 40 years’ old! 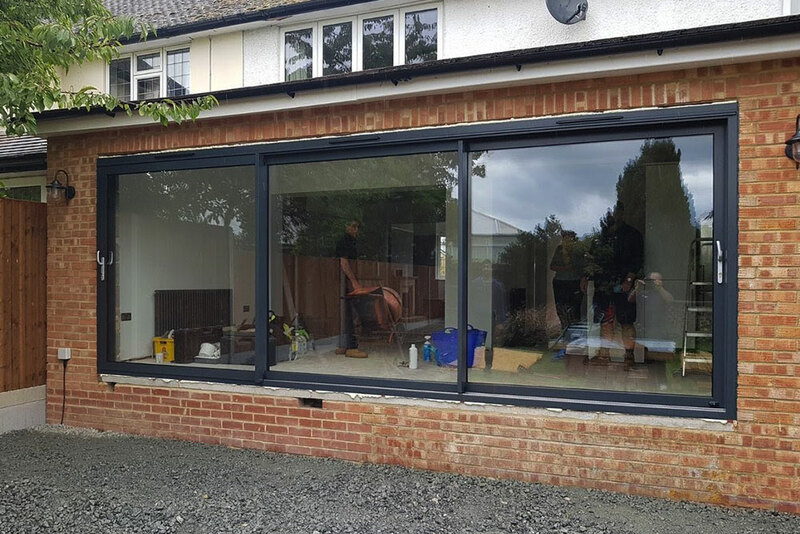 Our triple sliding doors allow you to open your home onto your garden in much the same way as a bi-fold door. Combining two triple sliding doors can give you incredible widths, in excess of 12 metres. 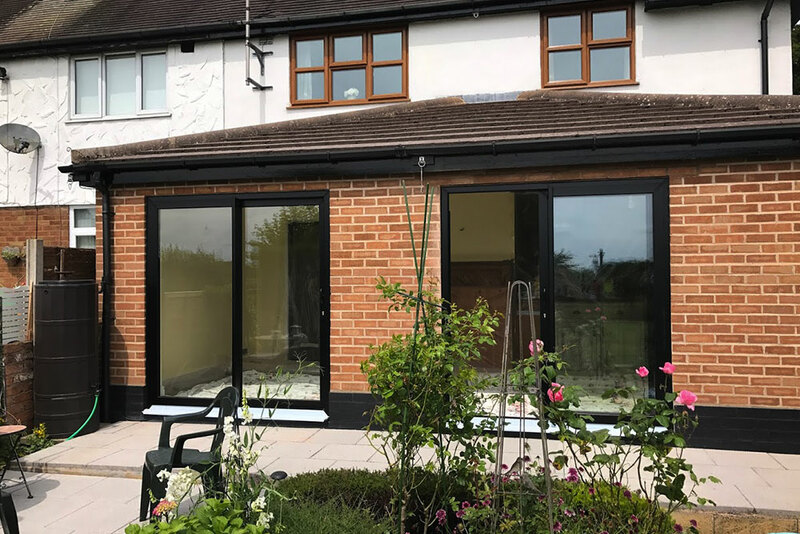 You can customise your sliding doors with a choice of more than 150 colours and wood effects including oak and rosewood. You can also vary the outdoor and indoor colours to complement your interior and exterior schemes.